IMO has been emerging out as one of the biggest chat service manager application among its category applications. Do chats, voices and video callingthrough internet connectivity over with IMO.This category of application was not much crowded as it’s now. Time to create your own choice upon your expectations about choosing suitable instant messaging tool. IMO is web based instant messenger through which you can also connect to account of multiple field. IMO has got amazing and simple user interface. As far as aspect of doing chat over IMO application is concern, there is no shortage of entertaining character or feature that are left which may spoil your articulated conversations. Share distinct media files, locations and audio-video recording spontaneously over individual chat box or in groups. 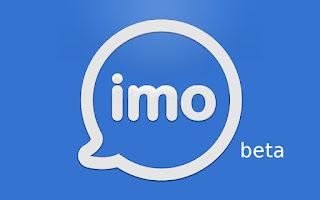 IMO can be used as a multiple messenger involving distinct chatting platforms. Add multiple accounts including Facebook Messenger, MSN, AIM, Skype, and so on all the way to communicate over individual instant messaging platform. Steps are nowhere hard to register, as you just have to enter your phone number and you are in. All your contacts will automatically be synchronised with the application just like other messaging application do. Contact section will help you finding out who else is also active on IMO messenger as well. To get started firstly download Imo! Navigation of IMO is simplest among distinct famous messengers. Setting up profile picture, status, sharing pictures, ringing tones and many more to in the customization. IMO is handed on to you with full ease, check out chats on front screen which will be evaluating entire previous conversations you have made earlier with your connections.More interestingly, it is one such application which never removes away your previous chats and conversation from its database.Besides, contact screen will collectively be showing list of IMO registered users along with showing active and inactive users discriminatively at the same time. The most magnificent feature of this application is massage pop up forms which instantly would be popping up with title “message from” along with the name one who would have tweaked. IMO goes flawlessly on any of Android smartphones. Even if your phone is having lowest configuration respective to the RAM, it is tested on low end Android phones with fair speed. Navigating IMO messenger in a flawlessly is just a matter of a fair internet connectivity.There is no such delay or lag is made for sending and receiving messages from other end. Voice and Video calls are fair enough at their performance level. Performance of audio and video calls will also be depending upon strength of internet connectivity. Communicate with your friends over high quality and lag free video calling. Your privacy will be kept stronger through special encrypting process. Explore distinctly amazing stickers’ right in your messenger’s chat box and make your messages much expressive. Requires internet connectivity, as without internet connection, you will be offline. You won’t find out huge list of active users within messenger. Might face lags due to weak internet connection.